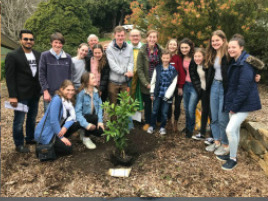 The Adelaide Hills Catholic Parish serves the communities of St Matthew’s Bridgewater, Our Lady of the Rosary Stirling East, St Matthew’s Birdwood, St Joseph’s Lobethal and St Catherine's Catholic School. Our parish lives the Gospel through a strong and enduring faith. We strive to be a vibrant community that welcomes all, celebrates diversity, reaches out to those in need and cares for God’s creation.